As turning junk to treasure becomes a national pastime, TV presenter Max McMurdo has some advice on the best way to upcycle. McMurdo has fronted shows including Channel 4's Shed of the Year, Gok's Fill Your House For Free, How to Live Mortgage Free and George Clarke's Amazing Spaces. 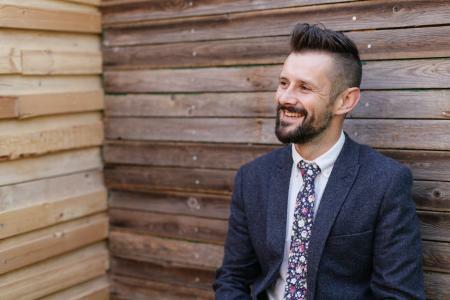 Prior to becoming a TV presenter, McMurdo's upcycling company, Reestore, won several design awards before he appeared on BBC's Dragon's Den in search of an investment. After a successful pitch, he hooked up with Deborah Meaden and Theo Paphitis to take his unique creations to the wider public. He has now become 2017 ambassador for Frenchic, the all-natural and eco-friendly furniture paint brand, which offers chalk and mineral paint designed to give old or unused furniture an entirely new look. Choose your materials wisely. Well-made products are always best, try to avoid cheap, chipboard materials. There is such a wide variety of products on the market, which now makes it much easier to upcycle. Chalk paints allow you to paint with little prep work, something which used to put people off. Spend some time doing some research and invest in the right tools for the job. Just because you’re using reclaimed materials doesn’t mean you shouldn’t look at trends and it is worth looking into what is coming into fashion in terms of colour and materials. This is something we regularly do at Reestore and it means that we are creating pieces which fit within the market and are desired by others. When painting furniture, consider leaving areas exposed. Some of our favourite pieces of furniture still have elements of wood visible. Consider your colour compositions and placement carefully before steaming ahead. Quite often certain areas of furniture are damaged, apply the paint to these areas and leave the quality surface visible. Look at forums for other people’s work or ideas. Be brave and give it a go. We make mistakes in our workshop all the time, but it is what we learn from those mistakes that make us more successful in what we do.